NASA has detected bizarre activity on the surface of the Sun with a series of colossal solar storms. Scientists have detected seven solar eruptions in seven days – with one being the most powerful in over a decade. NASA’s Solar Dynamics Observatory as been monitoring strange activity on our nearest star and have been left scratching their heads. Activity on the surface of the Sun should be at its lowest point as the sphere of hot plasma reaches what is known as “solar minimum”. The Sun is currently on an 11-year cycle where solar storms increase and decrease in intensity – with the most recent beginning in 2008 and lasting until 2019. But while we are in a dip and should be seeing less activity on the star, the sun has been more active in the past few weeks than it has in years. Astronauts on the International Space Station had to hide inside their ship on Sunday due an eruption from the Sun.While its very unlikely the star is about to explode, NASA are keeping a close eye on the what is going on at the centre of our Solar System. It is not known what causes the large eruptions during the period of solar minimum. The Sun is not set to die for around 5 billion, and it will not explode but instead expand to swallow up Earth before shrinking again and fading out of existence. 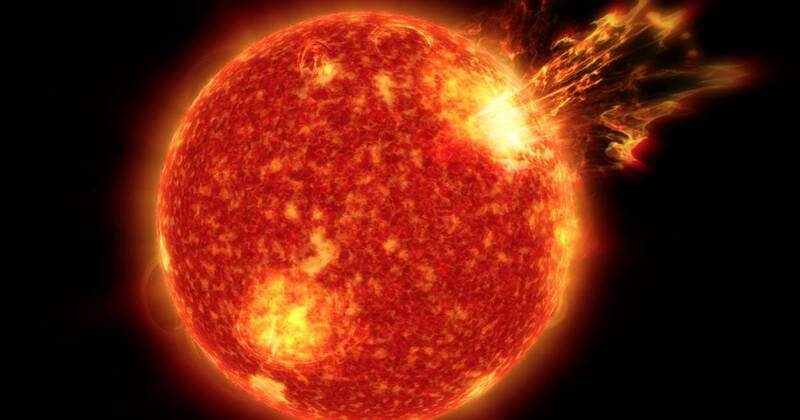 Solar storms – also known as space weather – are huge eruptions of intense radiation from the sun’s surface which interfere with electronics and radio signals on Earth. Massive explosions with the power of millions of nuclear bombs send the radiation hurtling through the solar system. A big enough event could knock out power grids, fry GPS satellites and plunge mankind into the Dark Ages. “The current solar cycle began in December 2008, and is now decreasing in intensity and heading toward solar minimum,” NASA said in a statement. Daily Star Online exclusively revealed US President Donald Trump has been given a briefing on the threat of solar storms.